MILLERSTOWN — Greenwood took advantage of some late Juniata mistakes to stage a comeback 10-8 victory in Tri-Valley League baseball Thursday. The Indians were up 8-7 going into the home half of the sixth when the Wildcats scored three runs to pull ahead. Aaron Bollinger led the charge for Greenwood at the plate going 2-for-3 with a home run, double and four RBIs. Bryce Dalpiaz went 1-for-3 with three RBIs. Devon Nealman went 2-for-4 with a triple, a double and three RBIs while Jamie Bailer went 2-for-4 for the Indians. Greenwood hosts Midd-West today while Juniata hosts Bald Eagle Area Monday. WP: Luke Myers. LP: Will Orwig. SO: Myers 5, Aaron Morder 2 (G); Orwig (J). BB: Myers 2, Morder 2 (G); Nathan Berry 2, Orwig (J). HR: Aaron Bollinger (G). 3B: Bryce Dalpiaz (G); Devon Nealman (J). 2B: Bollinger (G); Nealman, Jace White, Logan Kehler (J). MH: Myers 2-3, Bollinger 2-3 (G); Nealman 2-4, Jamie Bailer 2-4 (J). RBI: Bollinger 4, Dalpiaz 3, Garrett Howell (G); Nealman 3, White 2, Jacob Condo (J). 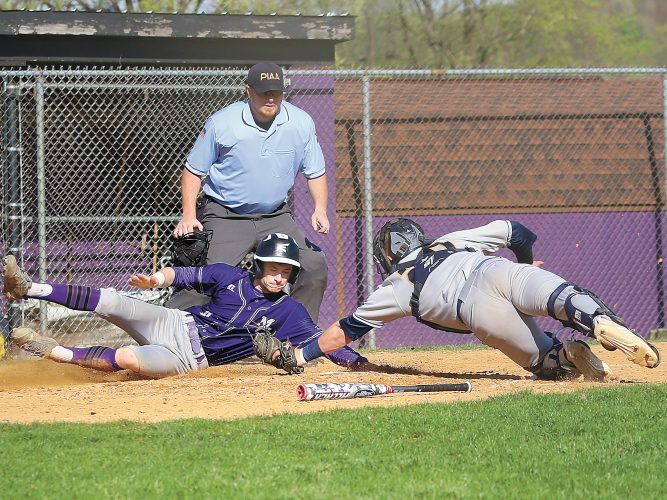 MOUNT UNION — Mount Union put it all together in the second inning, scoring 16 runs to send Moshannon Valley home early in an Inter-County Conference baseball game Thursday. The Trojans won 17-0 in three innings. Dylan Gearhart threw a one-hitter and struck out seven for the win on the mound and drove in seven runs with a grand slam being one of his two hits. Quinnten Fultz and Quinton Posey each had a double. Mount Union (8-0, 7-0) hosts Huntingdon Monday. WP: Dylan Gearhart. LP: Michael Kephart. SO: Gearhart 7 (MU); Jacob Matchock 1 (MV). BB: Matchock 5 (MV). HR: Gearhart (MU). 2B: Quinnten Fultz, Quinton Posey (MU). MH: Grayson McClain 2-3, Gearhart 2-2, Ethan Carbaugh 2-2, Klayton Willoughby 2-2 (MU). RBI: McClain, Gearhart 7, Kobe Hand, Ian Brodbeck, Carbaugh 3, Tyler Renninger, Seth Smith, Willoughby 2 (MU). COCOLAMUS — It was the Daniel Kanagy show as East Juniata defeated Susquenita 9-3 in Tri-Valley League baseball Thursday. Kanagy pitched a strong six innings and kept the Blackhawks at bay, striking out 11 while walking none. Kanagy did damage at the plate, too, going 2-for-3 with a triple. WP: Daniel Kanagy. LP: Roy. SO: Kanagy 11, Jadyn Martin 2 (EJ); Roy 7 (S). BB: Roy 2 (S). 3B: Kanagy (EJ). 2B: Logan Wagner (EJ). MH: Kanagy 2-4, Evan Clouser 2-3 (EJ); Knuth 2-4 (S). RBI: Nathaniel Losch 2, Wagner, Owen Dimm, Cy Fronk (EJ); Roy, Dorsey (S). HOUTZDALE — Mount Union’s bats were too much for Moshannon Valley to handle in its 19-2 victory in Inter-County Conference softball Thursday. The win was coach Matt Fiscus’ 300th of his career. The Trojans had six players — Payton Low, Kadyn Crisswell, McKenna Shields, Minerva Sheeder, Karrigan Woodward and Morgan Brumbaugh — collect two or more hits in the game. Brumbaugh, Crisswell and Woodward each had a home run. 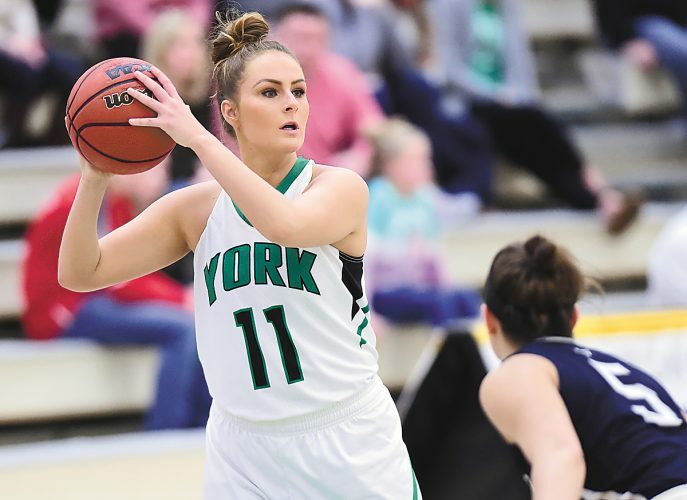 Mount Union hosts Juniata Valley Tuesday. WP: McKenna Shields. LP: Domanick. SO: Shields, Morgan Brumbaugh 2 (MU); Domanick, Gregg 2 (MV). BB: Shields, Brumbaugh 2 (MU); Domanick, Gregg (MV). HR: Brumbaugh (MU). 2B: Madison Boozel, Shields, Kadyn Crisswell (MU); Kitko (MV). MH: Crisswell 4-5, Karrigan Woodward 3-4, Brumbaugh 3-4, Minerva Sheeder 2-3, Shields 2-3, Payton Low 2-2 (MU); Blake 2-3 (MV). RBI: Crisswell 4, Woodward, Brumbaugh 3, Sheeder, Kaitlyn Arnold 2, Shields, Destinie Myers 2, Low, Kashawna Spriggs (MU); Blake, Dotts (MV). 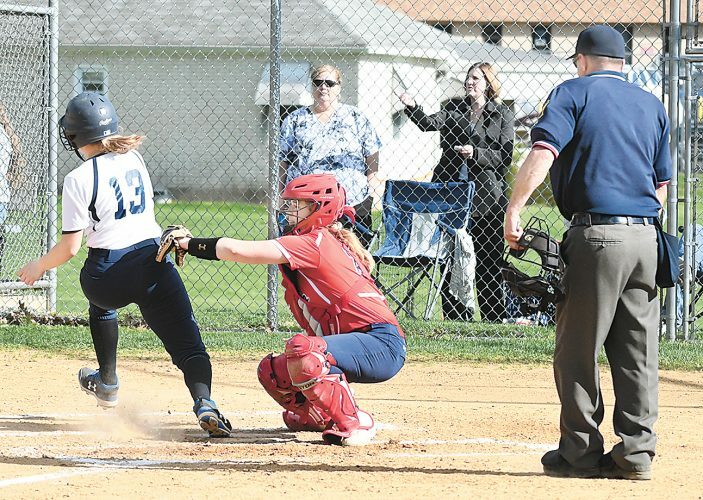 MIDDLEBURG — Midd-West fell behind early and couldn’t recover in a 7-1 loss to Shamokin in Heartland Conference softball Thursday. Destiny Walter went 2-for-3 at the plate while Marlo Spriggle drove in the Mustangs’ lone run. Midd-West travels to Danville Tuesday. WP: Whary. LP: L.Walter. SO: Whary 3 (S); Walter 3, Raya Kunes 5 (MW). BB: Whary (S); Walter (MW). 2B: Segura (S). MH: Kramer 2-3, Segura 4-4 (S); Destiny Walter 2-3 (MW). RBI: Kramer, Whary, Segura, Gloser, Hornberger, Merlino (S); Marlo Spriggle (MW). COVE — East Juniata struggled to contain Susquenita’s offense in its 12-2 loss in a Tri-Valley League softball game Thursday. Kenzie Hicks and Hailey Long each had an RBI for the Tigers. East Juniata hosts Juniata Monday. WP: Casey. LP: Rebecca Dietz. SO: Casey 3 (S); Lightner 3 (EJ). BB: Casey 2, Fisher 5 (S); Dietz 5, Lightner 2 (EJ). 2B: Morret, Armstrong, Casey (S). MH: Morret 2-2, Fisher 2-3 (S). RBI: Morret 2, Sheibley, Feltenbergen 2, Casey 2, Armstrong (S); Kenzie Hicks, Hailey Long (EJ). Boys: Camp Hill 100, Greenwood 50; Greenwood 110, West Shore Christian 38. CAMP HILL — The Greenwood girls won against both Camp Hill,106-44, and West Shore Christian, 140-9, while the boys split winning ,110-38 over West Shore Christian but fell to Camp Hill, 100-50 in nonleague track and field Thursday. The Wildcats’ girls team won 12 events with Paityn Wirth winning the 100- and 300-hurdles while Mallory Kauffman won the javelin and discus events. Daniel Campbell led the way for the boys winning both the long and triple jump. Andrew Loy finished first in the 800-meter run while Nathan Barnhart placed first in the javelin and Mitch Kauffman won the discus. 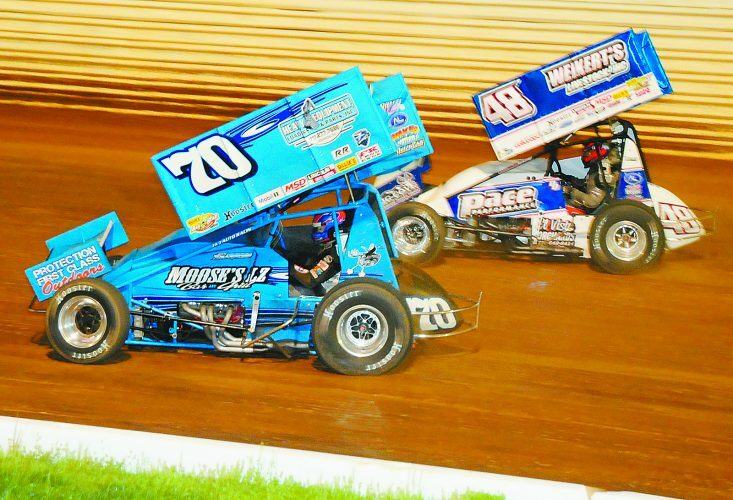 Greenwood competes in the Susquehanna invitational Saturday. 4×800 relay: Camp Hill, 8:34.4; Greenwood. 110 hurdles: Jack, C, 17.1; Foerster, C; Raney, C. 100 dash: Blanton, C, 11.9; Keegan Yeingst, G; Straub C. 1,600 run: Rosenberry, W, 4:47; Van Grouw, W; Kemble, C. 400 dash: Ritchie, C, 53.4; Carey, C; Raney, C. 4×100 relay: Camp Hill, 46.3; Greenwood. 300 hurdles: Foerster, C, 44.9; Trumpy, C; Cawella, W. 800 run: Andrew Loy, G, 2:07; Mooney, C; Spotts, C. 200 dash: Blanton, C, 25.2; Straubm, C; Yeingst, G. 3,200 run: Rosenberry, W, 10:49; Gurgiolo, C; Seiber, G. 4×400 relay: Camp Hill, 3:42; Greenwood. Javelin: Nathan Barnhart, G, 143-7; Seiber, G; Damon Murphy, G. Long jump: Daniel Campbell, G, 18-6; Jack, C; Hinds, C. Shot put: Strausser, W, 43-11.75; Mitch Kauffman, G; Branstetter, C. High jump: Trumpy, C, 5-8; Jack, C; Consglio, C. Triple jump: Campbell, G, 38-8; Jack, C; Trumpy, C. Discus: Kauffman, G, 116-9; Strausser, W; Sproul, C. Pole vault: B.Myers, C, 13-0; C.Myers, C; Dalton Smith, G.
4×800 relay: Greenwood, 10:16.6. 100 hurdles: Paityn Wirth, G, 16.9; Kinsey Flickinger, G; Olivia Muffit, G. 100 dash: Sophia Shoemaker, G, 13.1; Wolmer, G; Sghir, C. 1,600 run: Sakol, C, 5:31; Shartle, C; Klein, G. 400 dash: Forcey, C, 1:02.7; Sghir, C; Weger, G. 4×100 relay: Greenwood, 53.2. 300 hurdles: Wirth, G, 50.2; Muffit, G; Hollander, W. 800 run: Vorkapich, C, 2:33; Burch, G; Swann, G. 200 dash: Womer, G, 28.6; Shoemaker, G; Forcey, C. 3,200 run: Sakol, 11:52; Priebe, G; Shartle, C. 4×400 relay: Camp Hill, 4:10.9; Greenwood. Javelin: Foltz, W, 74-5; Kerstetter, G; Kane, C. Long jump: Kate Templeton, G, 14-5; Taylor, G; Tanis, W. Shot put: Mallory Kauffman, G, 42-11.75; Smith, G; Jack, C. High jump: Samantha Schreiber, G, 5-1; Rolston, G; Flickinger, G. Triple jump: Abby Taylor, G, 33-1; Raich, C; Abby W., G. Discus: Kauffman, G, 149-11; Sheaffer, G; Smith, G. Pole vault: Rachel Bohn, G, 8-6; Hess, G; Brosius, C.
MOUNT UNION — Mount Union struggled against Philipsburg-Osceola and West Branch in both boys and girls track and field in a nonleague track and field meet Thursday. The boys lost to West Branch, 75-74 and to Philipsburg-Osceola, 83-67. River Terry won both the 200- and 400-meter dashes for the Trojans. Zachary Coder placed first in the 300-hurdles and Kevin Morehouse won the pole vault. Mount Union also won the 4×400 relay. On the girls side, the Trojans fell to West Branch, 83-64 and Philipsburg-Osceola, 83-66. Mount Union won three events with Emily Boozel taking first in the javelin, Alexis Ryan winning the Discus and the Trojans claiming the 4×400 relay. Mount Union hosts Tussey Mountain on Monday. 4×800 relay: Philipsburg-Osceola, 9:46.19; West Branch; Mount Union. 110 hurdles: Fanst, PO, 19:59; Zachary Coder, MU; Cowder, WB. 100 dash: Hoffer, WB, 12:03; Stamm, PO; McClenhan, PO. 1,600 run: Godin, WB, 5:28.56; Briar Stone, MU; Hoover, PO. 400 dash: River Terry, MU, 55.57; Guerra, WB; Fenton, PO; Herning, WB. 4×100 relay: Philipsburg-Osceola, 48.21; West Branch; Mount Union. 300 hurdles: Coder, MU, 48.65; Faust, PO; Pelesky, PO. 800 run: Shimmel, PO, 2:09.80; Coder, MU; Stone, MU. 200 dash: Terry, MU, 24.99; Stamm, PO; Hunter Chamberlain, MU. 3,200 run: Godin, WB, 12.07; Bryce Beatty, MU; Hoover, PO. 4×400 relay: Mount Union, 3:57.89; Philipsburg-Osceola; West Branch. Javelin: Yingling, WB, 141-2; Coder, MU; McGuire, WB. Long jump: McClenahan, PO, 16-3; Rea, PO; L.Kipphan, MU. Shot put: Smeal, WB, 32-5; Xavier Wright, MU; Eichenlaub, PO. High jump: Cowder, WB, 5-8; Richardson, PO; Terry, MU. Triple jump: Cowder, WB, 36-5; Richardson, PO; McClenahan, PO. Discus: Cowder, WB, 110-7; Kristofitz, WB; Bryan, PO. Pole vault: Kevin Morehouse, MU, 9-0; Trevor Skopic, MU; Pinto, PO. 4×800 relay: Philipsburg-Osceola, 12:33.13; West Branch. 100 hurdles: Bainey, PO, 17.58; White, WB; Kasut, PO. 100 dash: Warner, WB, 13.76; Timblin, WB; Williamson, PO. 1,600 run: Prestash, WB, 6:09.18; Shaw, PO; Smith, PO. 400 dash: Kephart, WB, 1:08; Carmen Loner, MU; Aliu Jiang, MU. 4×100 relay: Philipsburg-Osceola, 56.81; West Branch; Mount Union. 300 hurdles: Bainey, PO, 50.82; Kosat, PO; WHite, WB. 800 run: Prestash, PO, 2:46.14; Kephart, WB; Shaw, PO. 200 dash: Warner, WB, 20.92; Timblin, WB; Williamson, PO. 3,200 run: Sparks, PO, 16.2; Morlock, WB; Brooke Latherow, MU. 4×400 relay: Mount Union, 4:16.58; West Branch; Philipsburg-Osceola. Javelin: Boozel, MU, 81-0; Butler, PO; Kennedy, PO. Long jump: Warner, WB, 13-7; Camille Posey, MU; Hopper, MU. Shot put: Kennedy, PO, 35-9; Vroman, PO; Alexis Ryan, MU. High jump: Bainey, PO, 4-10; Myers, WB, 4-10; Maraea Hopper, MU. Triple jump: White, WB, 26-4; Butler, PO; Hopper, MU. Discus: A.Ryan, MU, 83-6.5; Boozel, MU; Kennedy, PO. Pole vault: Butler, PO, 26-1; Emily Boozel, MU; A.Jiang, MU. CHAMBERSBURG — Mifflin County won just one set in a 5-0 loss to Chambersburg in Mid-Penn Conference tennis Thursday. Gavin Ream won the first set 6-0 in No. 1 singles, but dropped the next two sets. Mifflin County (0-11) travels to Northern York Monday. ¯ Mount Union 27, Moshannon Valley 1. Makaelyn Huffnagle went 3-for-4 with a double and 6 RBIs. ¯ Mifflin County 8, Big Spring 0. Aubrey Stohecker had four goals.